It's a joy to be able to serve our churches in their ministry to young people. Whether through training leaders or facilitating youth groups, our prayer is that the events Baptist Youth run will be of supprt to local churches and their youth ministries. UTC commenced in May 2017. 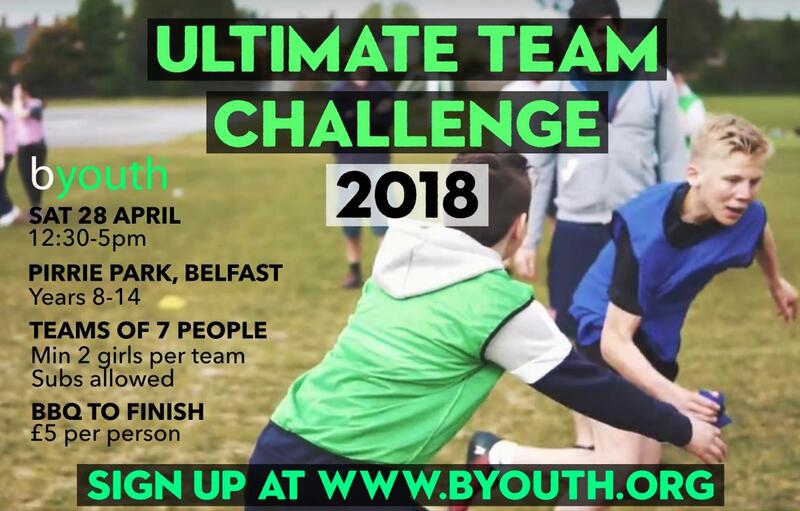 It takes the form of a multi sports tournament where young people are encouraged to come along with friends and spend a day engaging in a variety of sporting activities. At half time, someone will share briefly on who Jesus is and why he is significant for our lives. At the end of the day, there is a big BBQ for everyone involved. #SYNC is a Baptist Youth event which runs on two consecutive Friday Nights in November. With identical programmes, both nights aim to encourage the young people of our churches as we unpack a particular Biblical theme. At our last event, we looked at the book of Jude and how to 'Fight For The Faith.' With loads of games, singing and banter, #SYNC is always a high energy evening which is perfect to bring your youth group to! EYL (Equipping Youth Leaders) was launched on 15th October 2016 and will run each year. 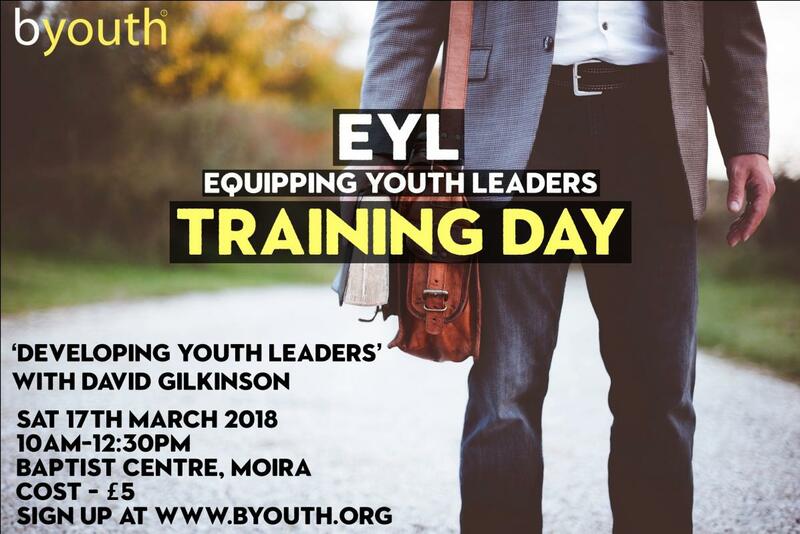 EYL is a one day event which aims to do exactly what it says - equip youth leaders in the battles they face in ministering to young people. It was a joy to see 150 leaders gather together in Moira Baptist church for our launch of EYL as we looked at the issue of 'Managing Mental Illness Among Young People.' Stay tuned to find out more about our next EYL event! Day 6 - Is Jesus Still On The Throne?